On Tuesday, Baltimore police commissioner Kevin Davis said that he was looking forward to reviewing the final results of the Justice Department’s year-long investigation into his department. Those findings proved to be incendiary: The Justice Department’s report accuses the Baltimore Police Department of routinely violating the constitutional rights of residents by subjecting them to unlawful stops and excessive force. 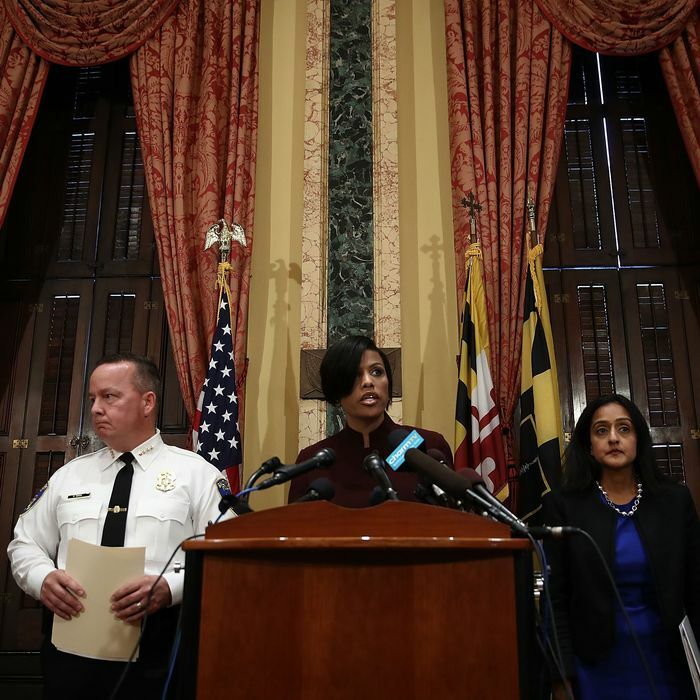 On Wednesday afternoon, Davis announced that six Baltimore police officers had been fired this year* for committing the kinds of egregious violations documented in the report. The Justice Department launched its investigation in April 2015, after a 25-year-old black Baltimore resident named Freddie Gray died of spinal injuries sustained while in police custody. Baltimore state attorney Marilyn Mosby brought criminal charges against the six police officers involved in Gray’s arrest. Three were acquitted at bench trials, however, and Mosby recently dropped all charges against the remaining officers. The Justice Department performed a similar probe of the police department in Ferguson, Missouri, following the death of Michael Brown. It turned up similar results. *This post has been corrected to show that officers were fired for offenses related to the report, but not in response to the release of the report itself.